The Ambrette (now renamed The Devil in Rye and run by the same people) is located in Rye, East Sussex. Rye is one of the Cinque Port towns and also one of the prettiest and best-preserved medieval towns in England. It has a small seaside harbour, quaint cobbled streets, ancient inns and tales of marauding smugglers. 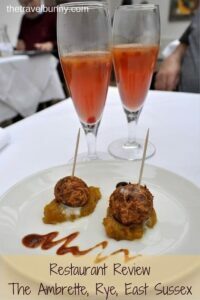 It is also, surprisingly, the venue for Deb Biswal’s contemporary Anglo-Indian fusion restaurant. 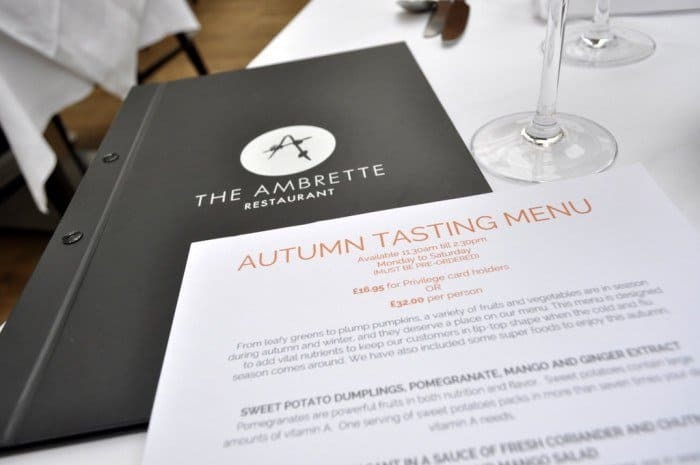 We headed to Rye last week to sample the lunchtime Autumn tasting menu at The Ambrette, one of three restaurants run by Chef Dev Biswal. 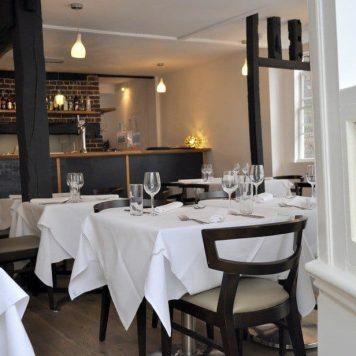 I’ve eaten at The Ambrette in Rye before so didn’t hesitate when I was invited to try out the Autumn Tasting Menu. I knew the food would be excellent. We had a little trouble finding the restaurant because it’s moved since we last ate there – but only from one end of the High Street to the other. After passing a bemused poppy seller for the third time, we gave in and asked and were pointed in the right direction. 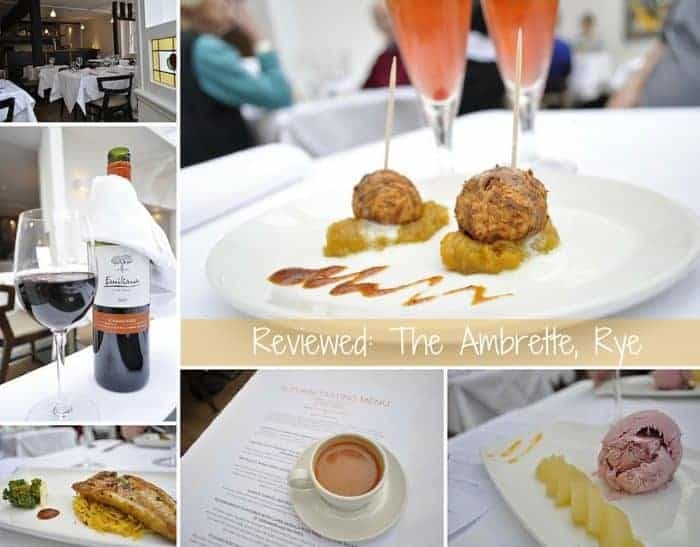 The Ambrette, Rye is one of a trio of restaurants; the first opened in Margate in 2010, followed by Rye and completing the aromatic trio, The Ambrette, Canterbury which opened just this year. 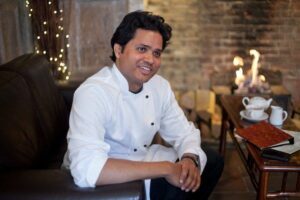 Biswal was recently awarded ‘Chef of the Year’ by The Kent Life and Kent on Sunday Food and Drink Awards. He was born in Orissa in Eastern India and graduated from The Institute of Hotel Management, Catering Technology and Applied nutrition in Kolkata. He then worked in various hotels and establishments in India before moving to the Dubai Sheraton and then to London and finally Kent. He has been known to personally forage for ingredients such as sea weed and insists on using locally sourced produce. The Ambrette group works with a number of local and third world charities. 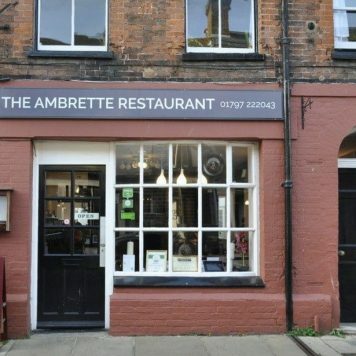 Ambrette Rye has a quaint frontage looking out onto the quintessentially English Rye High Street which is packed with quirky, independent shops. 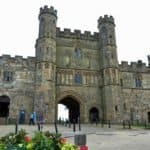 After going inside, we were escorted through to the restaurant area which is located in a light airy space raised over a small garden and overlooking Rye Monastery. You won’t find curry on the menu at Ambrette. 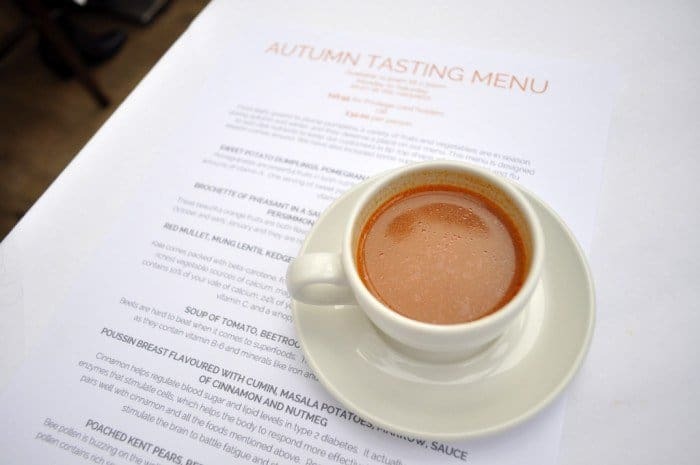 The carefully crafted menu uses a finely balanced blend of delicate spices and flavours from traditional South Indian recipes to complement the best of British produce which is sourced from local farmers and growers. 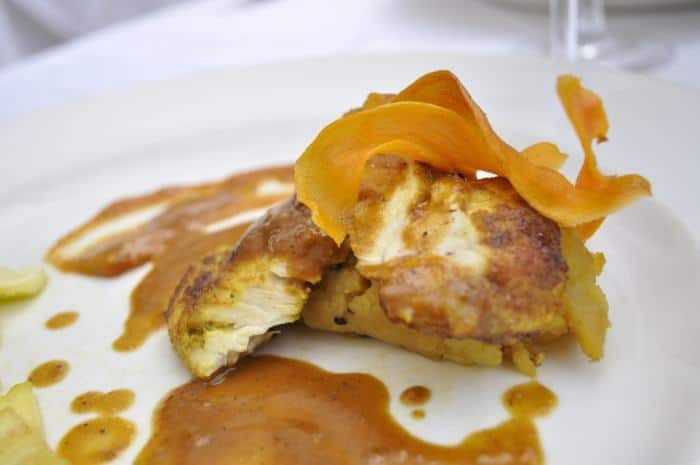 Dev has a flair for using seasonal, locally sourced ingredients and giving them a contemporary Indian twist. The restaurants are named after the Indian flower, Ambrette, known for its culinary and stimulating properties and there’s an emphasis on the menu on nutritious eating with some seasonal super foods added to the blend. I loved the way the menu had notes detailing all the super foods used and the beneficial nutrients and vitamins of the ingredients. This helped me to feel that I was eating healthily and not just being totally indulgent – which, of course, I was as well! First to arrive was an amuse bouche of sweet potato bhaji bites cushioned on a bed of sweet aromatic mash with a warm spiced sauce. The subtle flavours were the perfect introduction to our meal together with a warm mango and ginger soup. The clear soup was served in flutes floating with plump pomegranate seeds, the first of our super foods. 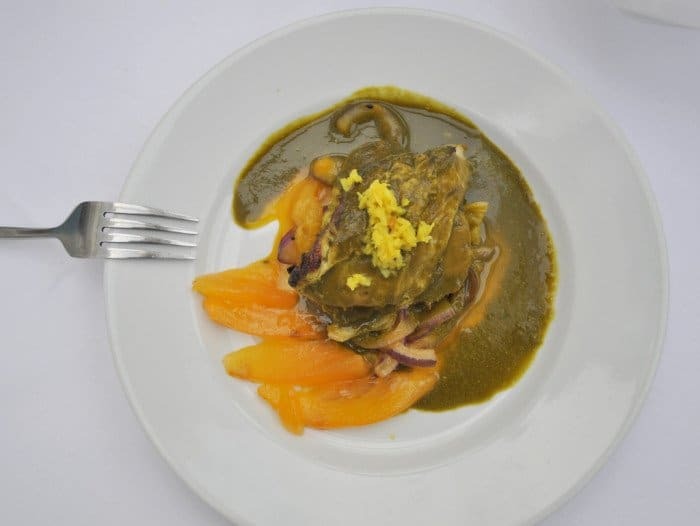 Next came tender pheasant accompanied by a coriander and punchy chutney sauce sweetened with mango and persimmon salad. Coriander is one of my favourite flavours which I’d never thought of pairing with pheasant – it worked perfectly and the sweetness of the mango added an unexpected twist. 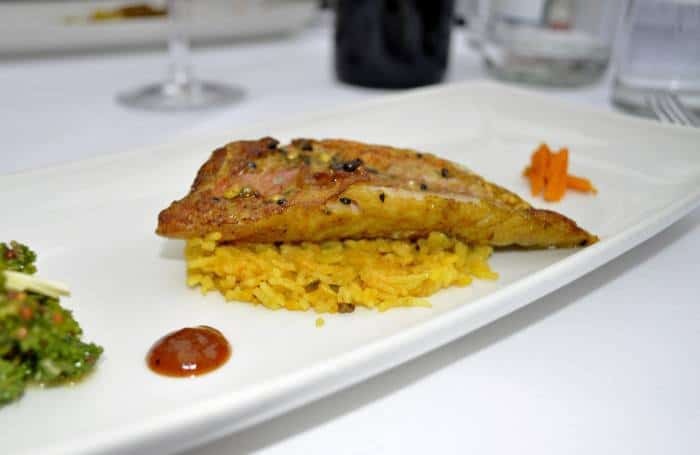 Red Mullet, a white flaky fish, has a stronger taste than most fish of this type so pairs perfectly with a little spice and the flavour of the mullet wasn’t overpowered. The turmeric roots were interesting, more robust than carrot, they tasted warm and peppery with a hint of bitterness – the kedgeree countered this with its aromatic and delicate flavour. Kale was the super food to complement this dish. The last time I ate at The Ambrette I loved the way the courses were interspersed with mini palate teasers. Next to be served was our next super food, beetroot, in the form of a soup together with tomato and black pepper in a little Espresso cup. Delicious. It’s true that you eat first with your eyes and every dish at The Ambrette was beautifully presented with the hints and hues of an autumn palate – an artwork on every plate. Our next course was no exception. The flavours of the sauce served with the moist, tender poussin were more aromatic than spicy with hints of cinnamon, nutmeg and cumin. They also beautifully complemented the delicate taste and texture of the marrow. Any of my regular readers will know that I’m a total gelato convert and rarely eat ice cream nowadalys. I guess there has to be an exception occasionally and The Ambrette was the place to serve an exceptional ice cream. 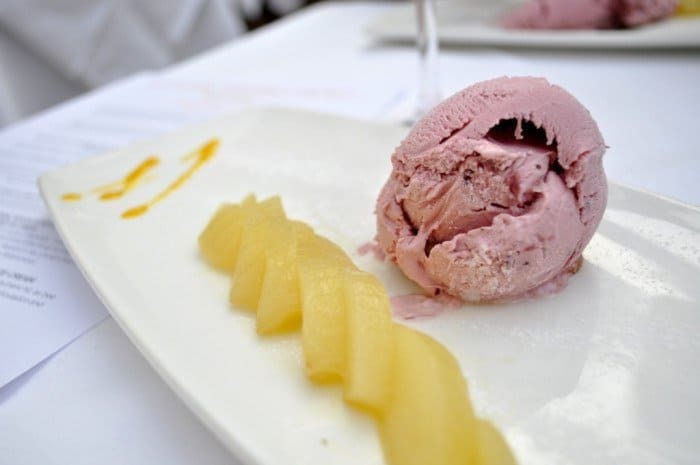 It had that soft texture that I like so much with gelato and the intense cranberry flavour perfectly complemented the poached pears. I prefer to drink red wine in the winter so we chose a Chilean Carmenere to go with our meal which was very good. 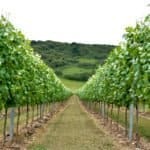 There is a wide range of wines on the menu to suit a variety of preferences and pockets. The Ambrette also prides itself on offering good value for money and affordable dining. The lunchtime Autumn Tasting Menu (must be pre-ordered) comes at £32 which both myself and Mr Jones felt was excellent value. The restaurant also runs a scheme for Privilege card holders. A tasting menu can often leave you feeling that you’ve over-eaten. Not the case at The Ambrette. We left feeling that we’d experienced a wonderful blend of subtle flavours with enough food to feel pleasantly satisfied but also that we’d eaten very healthily. The service was friendly but not intrusive and I have to compliment our waitress, Amy, who was absolutely delightful. We shall definitely be returning to Rye’s Ambrette and may even have to sign up for that Privilege card! High-speed trains run from London to Ashford International with a journey time of 38 minutes. 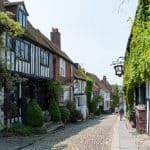 A further train to Rye takes 21 minutes which makes this pretty and historic town the perfect option for a day out from the city. Many thanks to The Ambrette who kindly invited us and hosted our meal. As always my first consideration is to my readers and the thoughts and comments in this review are entirely my own. The menu sounds divine set in a fabulous location. You have inspired me to visit Rye. I look forward to sampling some of their delights. This dining experience sounds amazing! I love tasting menus in the fall, they seem to pull together the best ingredients. Love all the history associated with the location as well! A tasting menu is a great way to sample lots of different flavours – perfect for people like me who can never decide what to choose from the menu! Looks delicious, and I really like all the interesting combinations (would never have put partridge and coriander together!) – looks like I’ll have to make a trip to Rye sometime. You must Lucy – and I need to do something about that. Spring maybe? 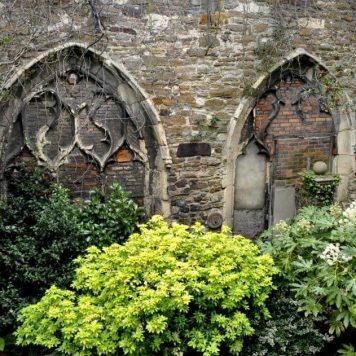 Every time I read about Rye, I think how lovely it sounds – and yet I still haven’t been. But this gives me a very good new reason! 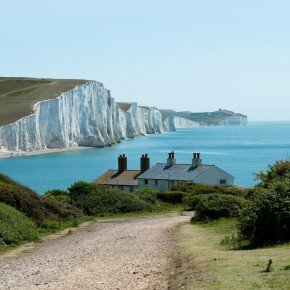 It’s a very pretty little town and Camber Sands is nearby which is lovely for little ones – so there’s another reason!! This menu sounds lovely, especially dessert! Did you spot whether they offer a vegetarian version as my hubby wouldn’t be able to eat some of those courses. It was all really good! I’m not sure about their tasting menu but there are plenty of vegetarian options throughout so they may be able to replace courses with a veggie option. It was all good Suze! I went to Rye for the first time earlier this year but only had a couple of hours so didn’t get to sit down and enjoy any of the restaurants, only a tea room but would love to try out this place when we return for a proper day trip or longer. I love the idea of combining local ingredients with internationally inspired dishes and have never come across a bhaji with sweet potato – that sounds fabulous! This sounds wonderful. I’m really rather envious and I’m now so very hungry. 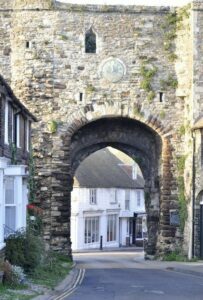 Rye is such a lovely town and this is yet another reason to love it.